Home>Entertainment> Jordan Peele Breaks Down The Michael Jackson Reference In "Us"
The Michael Jackson boycott is in full force these days following HBO's Leaving Neverland docuseries which explores Wade Robson and James Safechuck's allegations of child molestation at the hands of Michael Jackson. The docuseries prompted The Simpsons to remove the late singer's episode from syndication and the series entirely while Drake removed his posthumous collab with the iconic singer from his tour set. 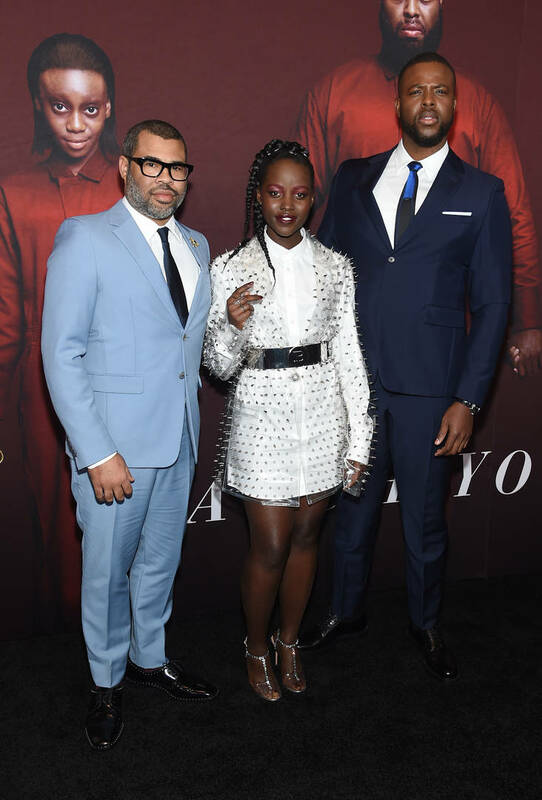 In Jordan Peele's latest film, Us, the director made reference to Michael Jackson which seemed to upset a few people. However, he explained that there was a symbolic meaning behind it. Speaking to Variety at the premiere of Us, Jordan Peele explained one pop culture reference that caught everyone's attention. In the opening sequence, Lupita Nyong'o's character is a little girl when her dad wins her a "Thriller" t-shirt at an amusement park. She puts on the shirt before walking into a house of mirrors. Jordan Peele's Us serves as his directorial follow-up to 2017's critically acclaimed, Get Out. ENTERTAINMENT Jordan Peele Breaks Down The Michael Jackson Reference In "Us"